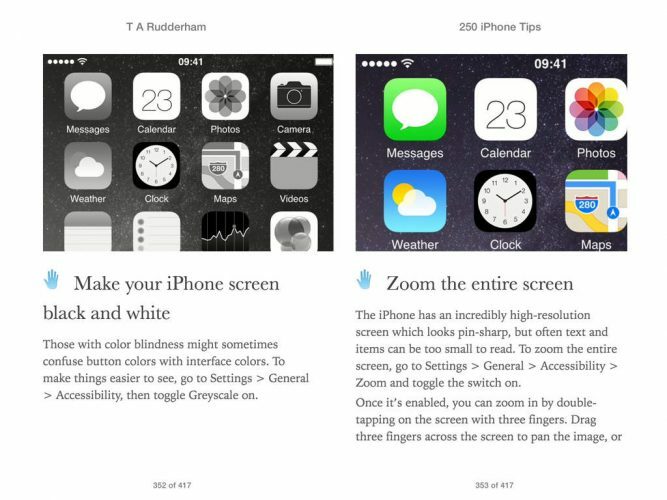 iOS Guides today is proud to announce its latest eBook: 250 iPhone Tips. 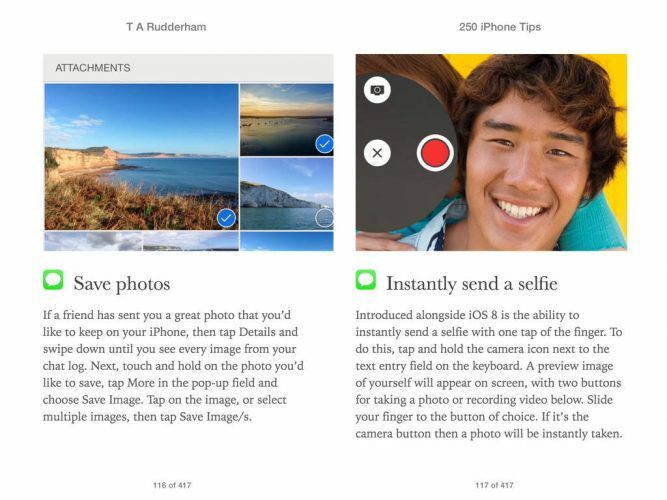 Brought to you by the expert team at iOS Guides, and written by best-selling technology author Tom Rudderham, 250 iPhone Tips is jam-packed with helpful tips and tricks that help you to unleash the power of iPhone. 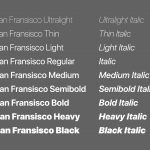 Tips are broken down by app or subject matter, and include a helpful image, icon and concise text. 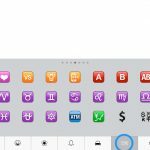 You’ll discover everything you need to know about iOS 8, the iPhone’s built-in apps, mobile photography, image editing, accessibility tips plus much more. 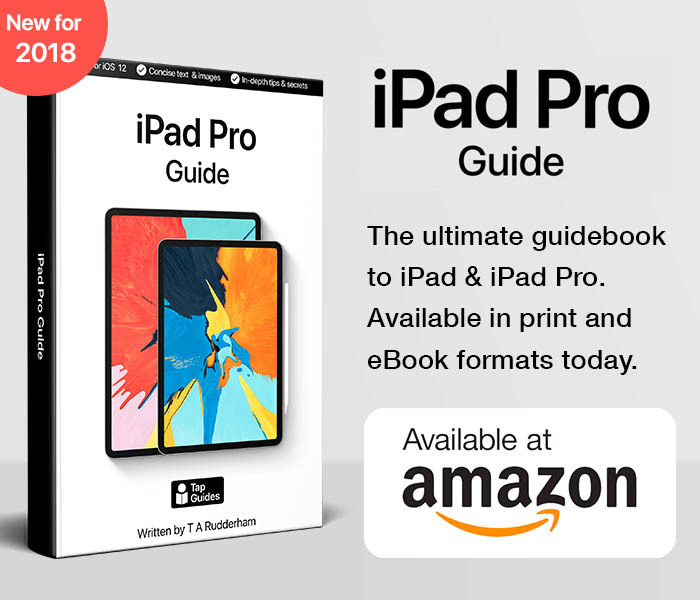 All new for 2015, this eBook covers the very latest iPhone features and technologies, including Family Sharing tips, iCloud tips, Health app tips and more. It’s also suitable for any iPhone running iOS 8, including iPhone 5c, iPhone 5s and iPhone 6/Plus. 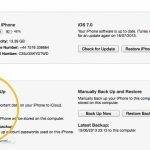 By the time you’ve finished reading 250 iPhone Tips you’ll be a pro in nearly everything iPhone related. Priced just $2.99, 250 iPhone Tips is available from the iBookstore, Amazon Kindle Store and Kobo eBooks. Concise and free from technical jargon, it enables you to discover new features about your device in a short amount of time. 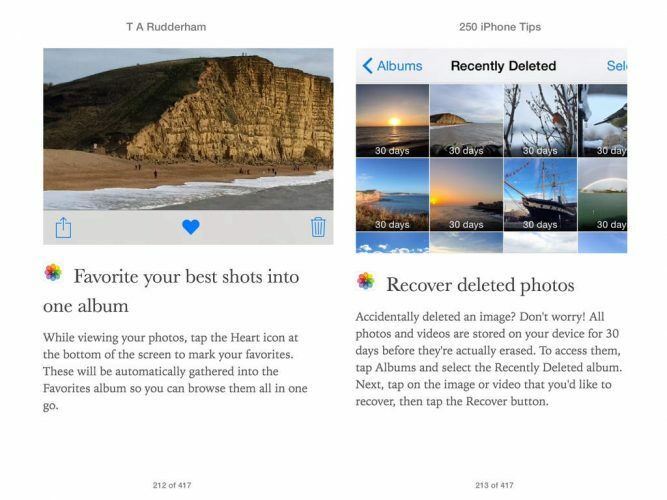 It’s also packed with large color images that help you to visually follow its tips and tricks.